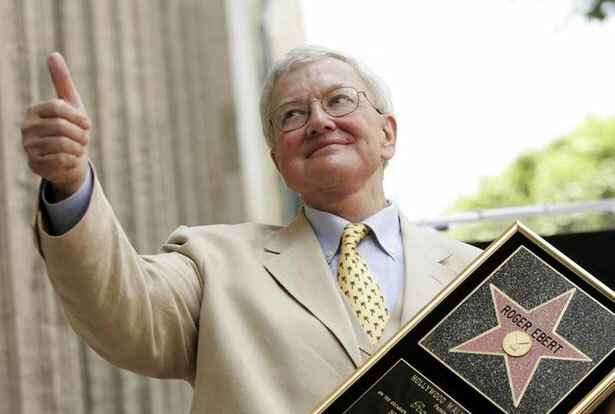 Ebert was a great popularizer of discussion about the arts, and we'd do well not to forget that. Grief gets its own logic, I think. And I love Herzog, both his films and the way he thinks. The note he sounded is one he’s spoken about before, once joking in an appearance at the New York Public Library that he’d forced Ebert to watch The Anna Nicole Smith Show because it was “a monumental failure of civilization.” And no one really disputes that he’s wrong; it’s a difficult thing to keep talking about movies as objects of art in an age where most are cynical CGI-and-poop-joke extravaganzas. But just to voice a small bit of hope: as someone who just read Ebert, who only watched him from afar, it seems to me that one of his great talents was not just sorting wheat from chaff. He was as much a popularizer as he was a critic, a person who did not spend his life advocating for one aesthetic preference over another as he just loved talking about movies with other people. He made it a popular pastime in a way the great idols of movie criticism like Pauline Kael and Andrew Sarris never attempted. All morning as I’ve been writing this the tributes have been piling up from young critics he encouraged and communicated with, but I don’t just mean his encouragement of professionals. He had a way of being a critic without coming across as high-handed or snobbish, and the liberatory power of that isn’t a thing to underestimate. Will Leitch, of New York magazine, wrote a few years ago that Ebert was, to him, a “glimpse of a better life: He was proof there was a ticket out.” It’s not an accident that a “better life” was one spent drenched in the culture, I think. And that glimpse should still be held out to everyone and anyone, no matter the pedigree. In an age where the economics of cultural journalism are bottoming out, where professional book reviews compete with Amazon ones and everyone with a WordPress account can get their reviews listed on Rotten Tomatoes, a lot of critics do a lot of rather anti-democratic grumbling about the diminishment of taste. You know what they mean, but I’ve always thought that their target was wrong. If we’re going to find a way to have a meaningful culture in this country, the obstacle doesn’t lie with a growing number of people who are passionate about discussing the ins and outs of it. It’s with a corporatized cultural industry where the bottom line is so important that no risks are taken. Sure, some of the shlock sells, but much of it, from John Carter to The Host, fades out and dies a quick death. It does so because no one can find anything to say about it the moment they walk out the door. Ebert, I think, understood this. In that conversation with Herzog he also said, “I see so many movies that are all the same, they're cut off like sausages, you get another two hours worth and then you go home and you forget about them.” The point of Ebert’s criticism was to preserve the things that mattered to you, and forget all the ones that didn’t, the ones he generically dismissed with complaints like, “I hated this movie. Hated hated hated hated hated this movie.” In the last years of his life, with his loss of the power of speech, he became an inspirational figure precisely because even in the midst of a lot of bad stuff he still saw the good. The best way to remember him, I think, would be to try to do the same. It didn't take long for the University of Louisville to bank on an ugly injury to one of its basketball players. Read Dave Zirin's take.